Playeres can acquire various items (weapons, armors, potions, etc.) dropped from chests. Item rarity is divided into 2 tiers: Common and Unique and every weapon can have up to 4 tiers differing in their stats and efficiency. 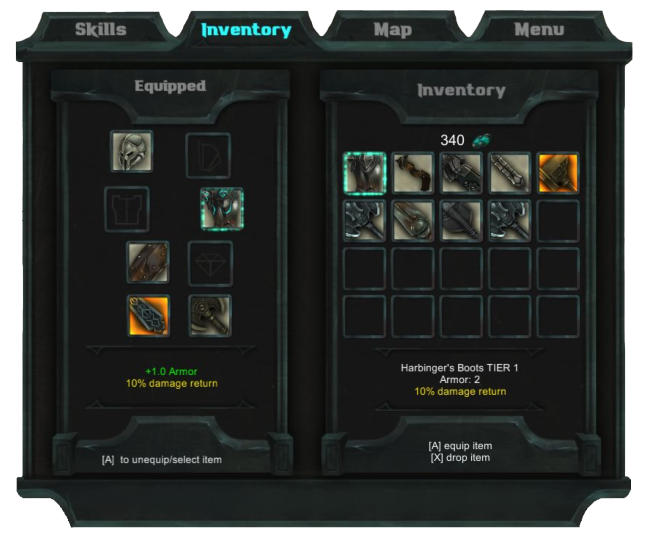 Items have several different stat modifiers depending on their exclusivity.